Offers Good Old-Fashioned Customer Service! This is the last smoker you will buy! Spring Cover Special Smoker Package!!! 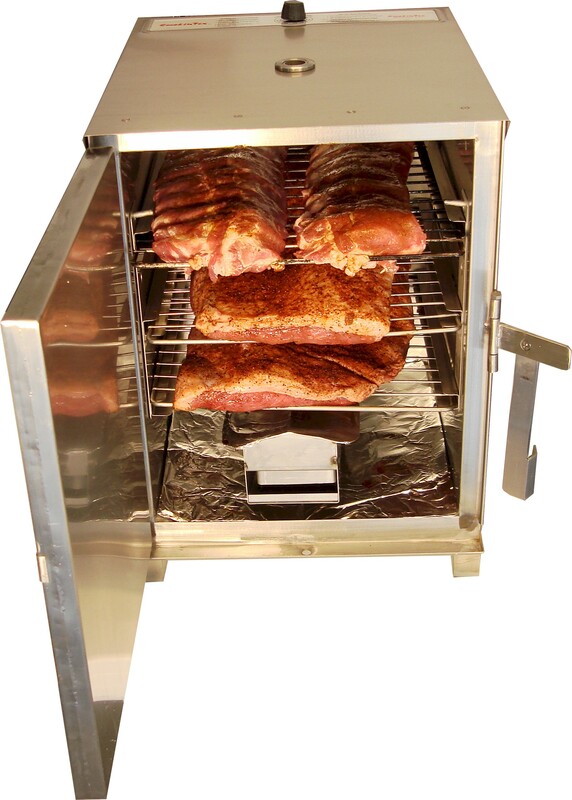 Our electric smokers make great BBQ! SmokinTex BBQ meat smokers make gift giving and entertaining a breeze! Call us! 888-922-1511 Order Yours Today! SmokinTex smokers make entertaining and gift giving a breeze! SmokinTex BBQ smokers are #1 because of our simple design and they're so easy to use! SmokinTex is featured as a Star Chef Pick in FOOD & WINE Magazine! Introducing our newest BBQ backyard electric smoker! Makes a great brisket smoker! Bigger than the 1400 and a great size for almost any requirement! for home or commercial use. Makes a great ribs smoker! Great BBQ Electric Meat Smoker! SmokinTex Pro Series Electric BBQ Meat Smokers use wood chips or regular chunks of hard wood. No moving parts to break down and so easy to use! SmokinTex is the secret to perfect smoked foods! 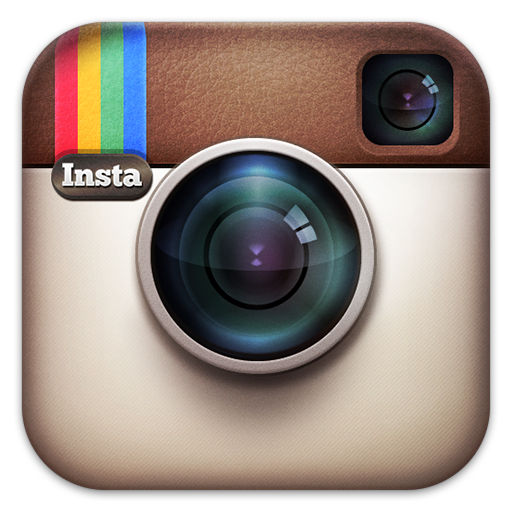 Check our SmokinTex Forums for great recipes and smokin tips! SmokinTex electric bbq meat smokers for home and commercial use make old-fashioned pit barbecue and delicious natural wood-smoked foods. 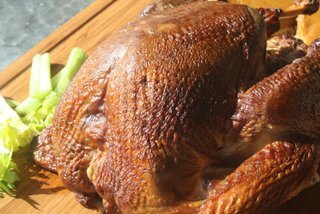 Our smokers create excellent smoke flavor and a tender, moist meal every time. In a SmokinTex meat smoker, food is slow-cooked, over real wood smoke. The low, slow, even heat is gentle to food-you can really taste the difference! Need a restaurant smoker? 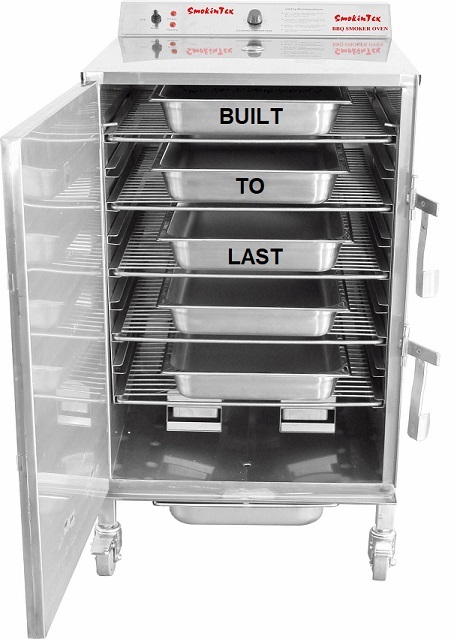 Our simple design makes our commercial bbq electric smokers last and last through rough handling and hours of use. Many chefs, restaurants and food trucks use our great Commercial BBQ Electric Meat Smokers! SmokinTex smoker products will have you cooking like a professional chef every time! We also have a great BBQ SmokinTex Forum, Blog and Pinterest to help you learn about SmokinTex electric BBQ smoker ovens. All our smokers are restaurant quality-the home versions are just as effective as our commercial models. They're economical (no heating the house up when preparing a big meal-it's all done outside!) and each model is simple to use. Do an entire meal at once with meat and vegetables/sides all going in the smoker at once! 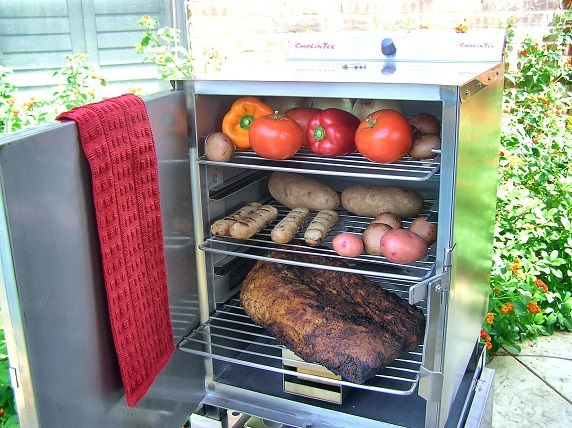 Or you can use your SmokinTex BBQ Electric smoker as a holding oven. Our manuals walk you through the equipment, our FAQ section will answer many of your questions and you can call us at 888-922-1511 or e-mail us at sales@SmokinTex.com at any time. Don't forget to sign up for our FREE monthly newsletter for barbecue recipes, tips and more great information about the SmokinTex experience! Get your SmokinTex BBQ Electric Smoker today! See Our Award-Winning Newsletters here!